Modern shipping containers have been around since the mid-50s when the design we know today was first invented and patented by American trucker Malcolm McLean (also known as “the father of containerization”). He managed to reduce the cost of shipping per ton from $5.86 to 16 cents. As of 2017, there are over 25 million in the world. Shipping containers have a big impact on our daily lives; with many consumer goods transported all around the world to the next point in the supply chain. One of the main benefits of shipping containers is their re-usability; if properly constructed, maintained and looked after, they can last for up to 20-30 years with constant use. Containers are typically made from high quality, durable materials such as Weathering (Corten) Steel and painted using weatherproof paint in a factory setting. As containers can end up spending a long time at ports, they are designed to last for a long time, even when stacked and stored for an extended period of time. Weight – There are a few weight measurements for containers, these include: tare weight, payload capacity and verified gross mass. Generally, containers tend to have similar tare weights and payload capacities depending on size, however, verified gross mass will vary according to the container’s contents (more info). Size – Generally, shipping containers must conform to standard sizes, but some variations are accepted. For example, the container length may be 20ft or 40ft, height 8ft 6in or 9ft 6in and width 8ft or 2.5m – read more. Container design is regulated by the ISO (International Standards Organisation) to ensure they conform to international standards. In July 2016, the IMO (International Maritime Organisation) amended the SOLAS (Safety of Life at Sea) Convention which mandates the declaration of the verified gross mass of packed shipping containers – read more. Containers used for international transport must be fitted with a valid safety approval CSC plate – read more. 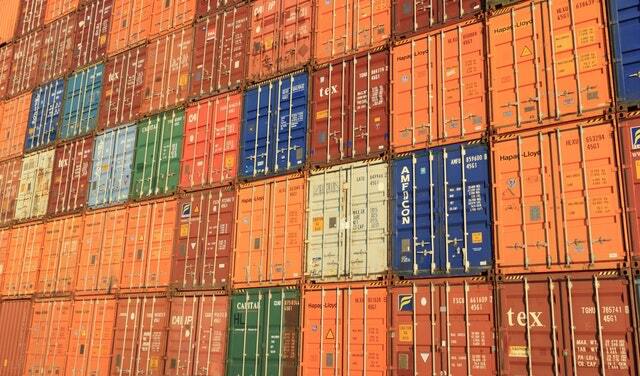 Containers must also show certain markings in accordance with international standards – read more. All shipping containers in circulation must have a registered BIC code; a four digit letter combination (usually ending in U, J or Z) that ties the specific container to its owner including company name, registered address and contact details. A full, searchable list is available on www.bic-code.org. To view the full list, download the file template from the sign up page.